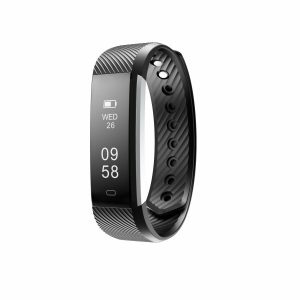 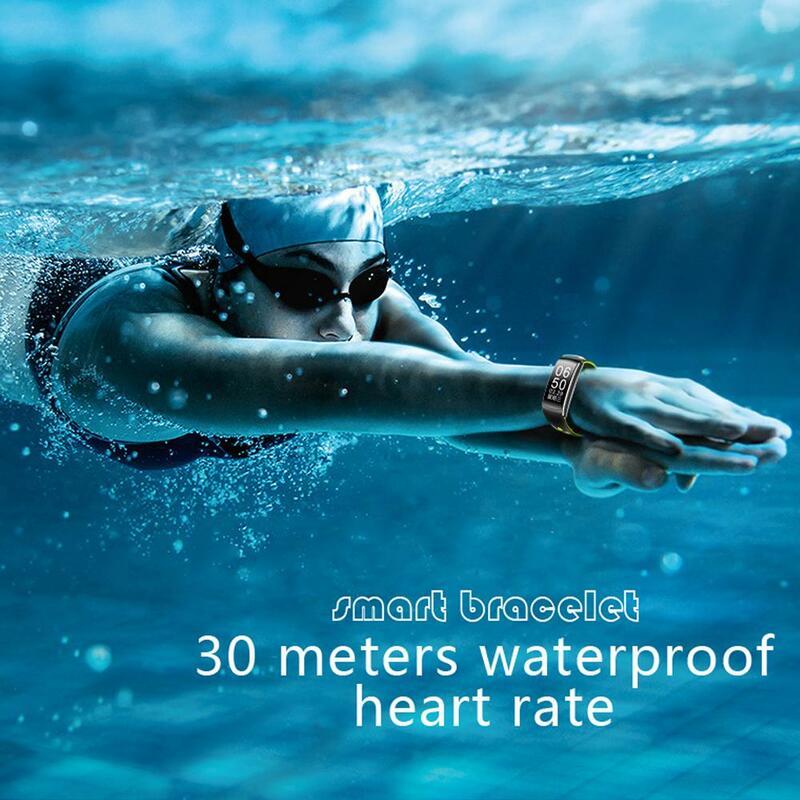 Q8 Smart Bracelet fitness band is a good sports partner. 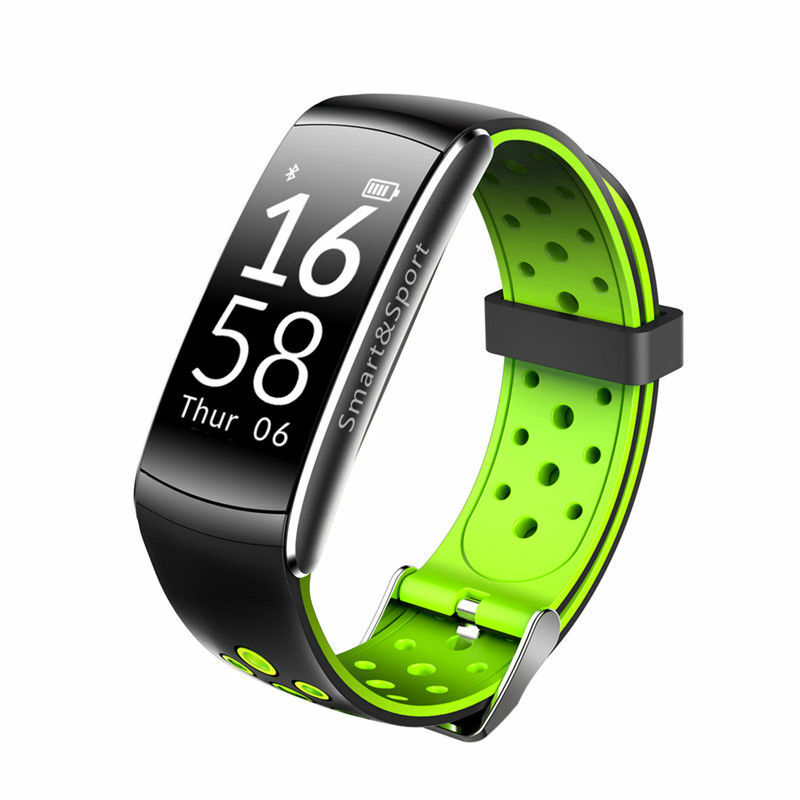 It can display heart rate, steps, calories and distance. 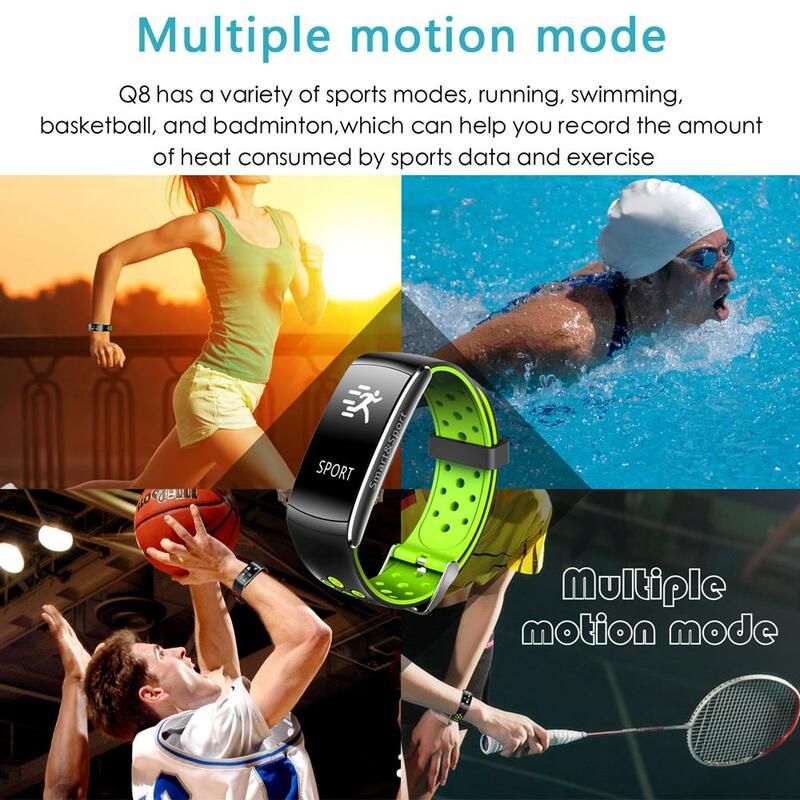 It lets you know your sports data immediately. 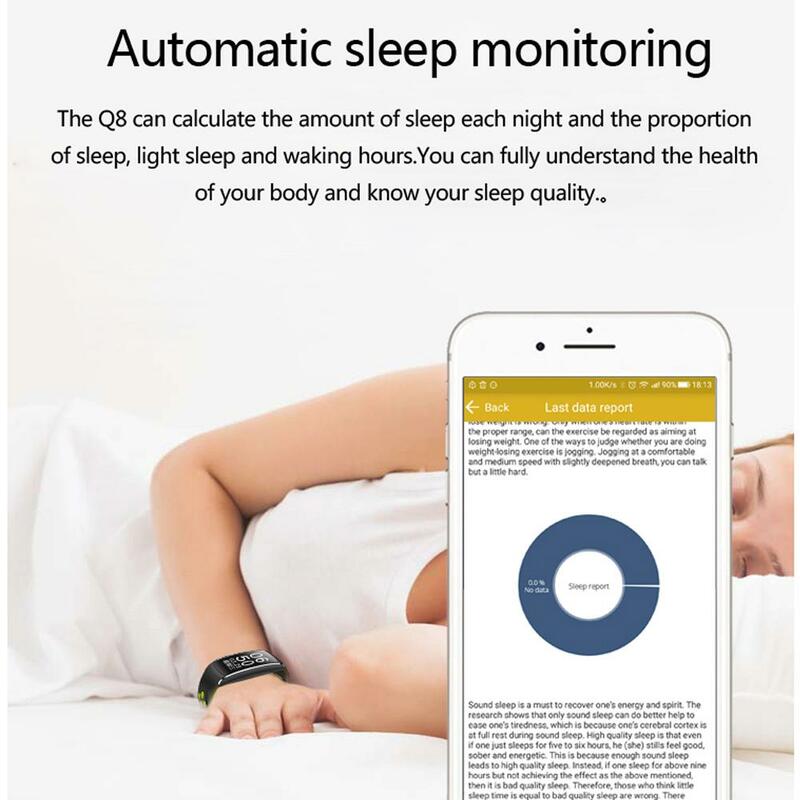 It can also monitor your sleep. 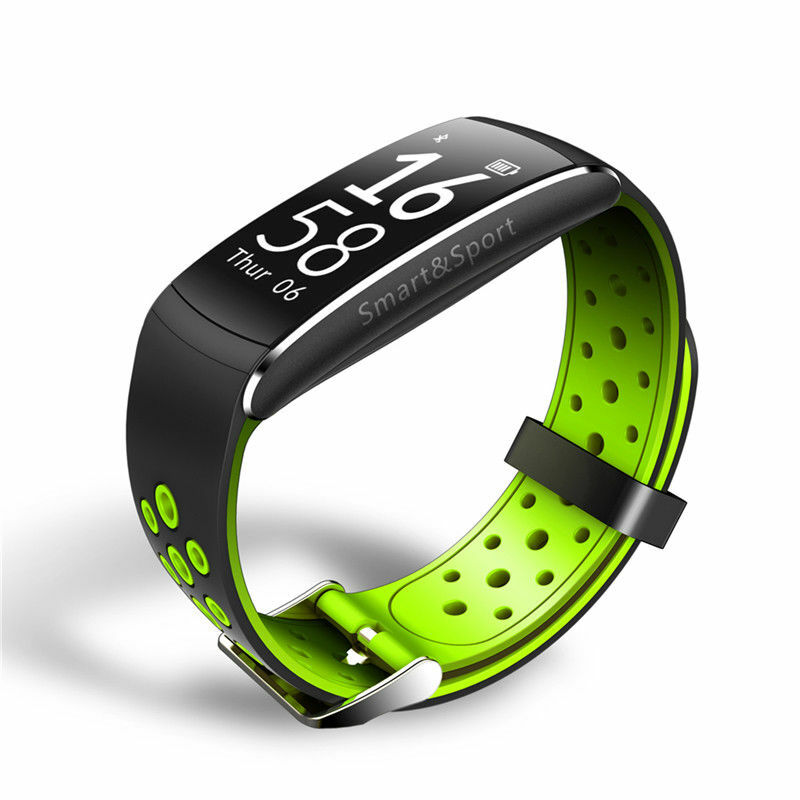 All of these data can be synced to your smart phone. 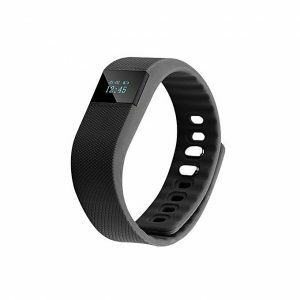 With adjustable silicon wristband and light weight features, you can wear it and exercise comfortably. 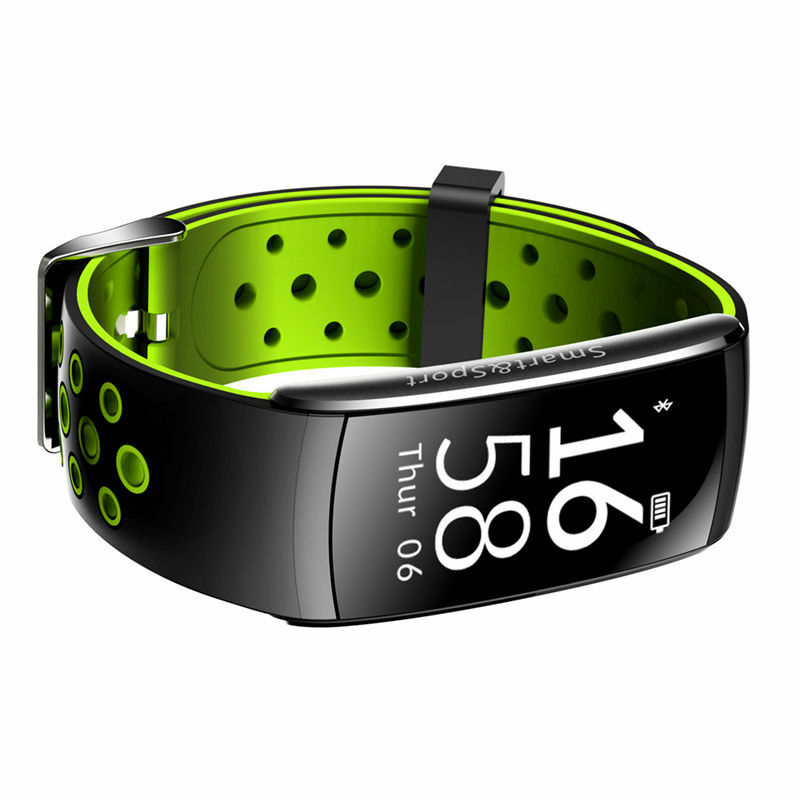 It is also a smartphone companion. 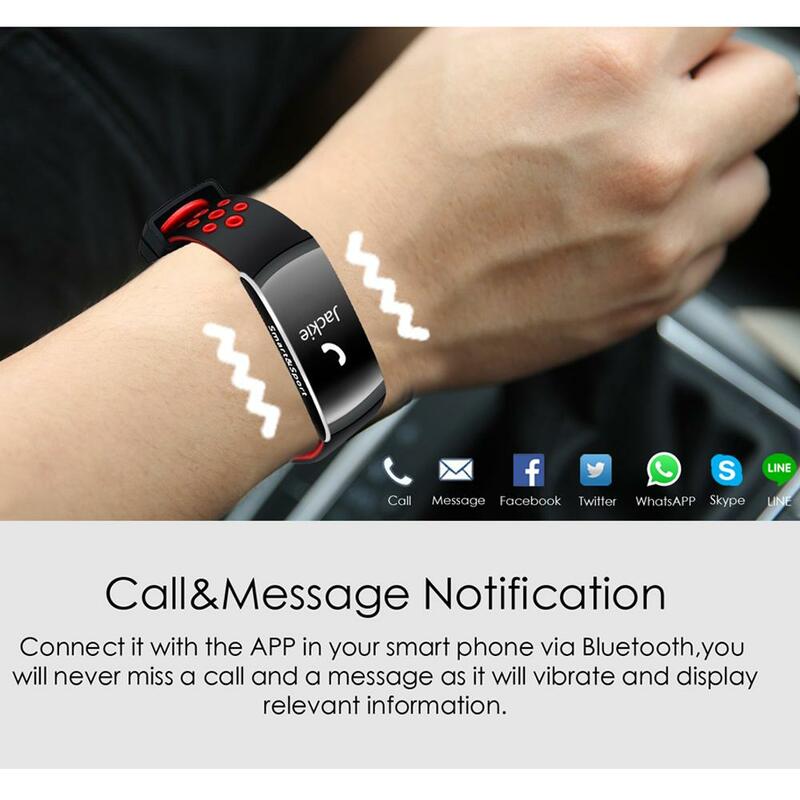 When you have calls or SMS, it will vibrate to remind you. 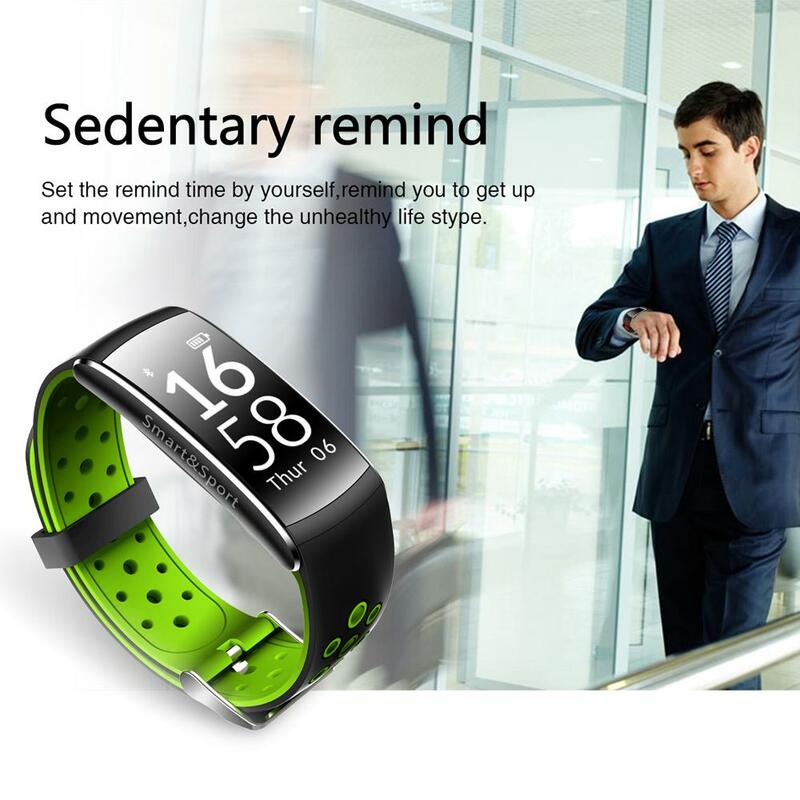 You will never miss them, even in the noisy place. 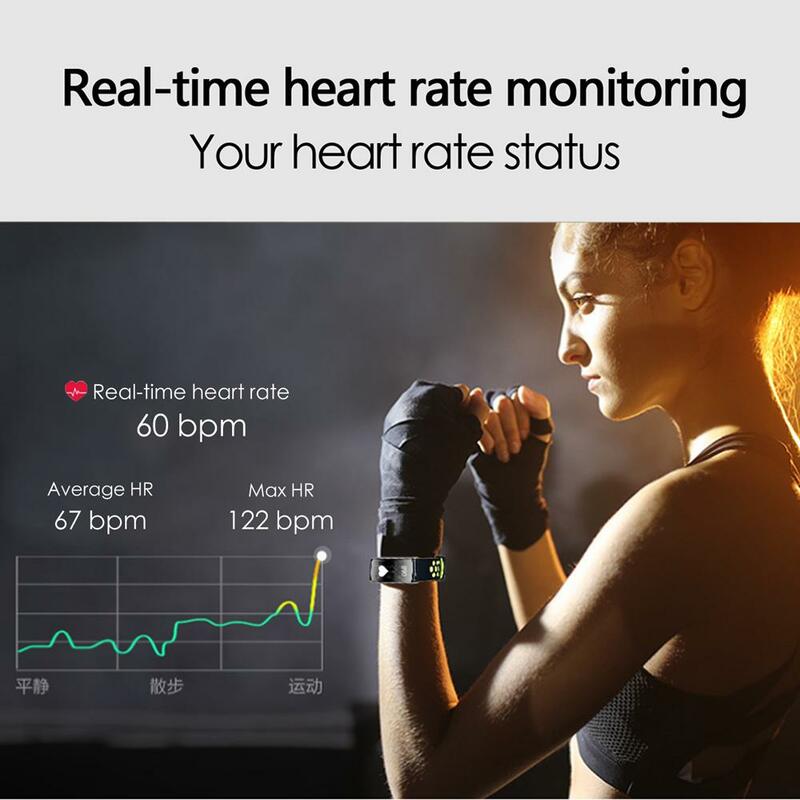 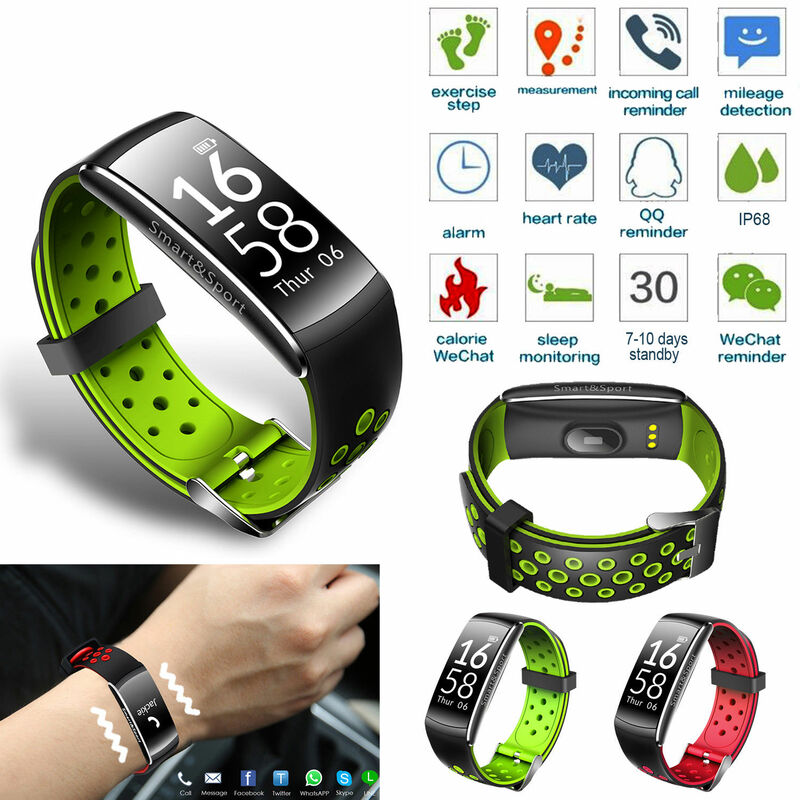 Get fit with Style with the this Smart Bracelet Q8 IP68 Blood Pressure Heart Rate Monitor Fitness Tracker Smart Watch. 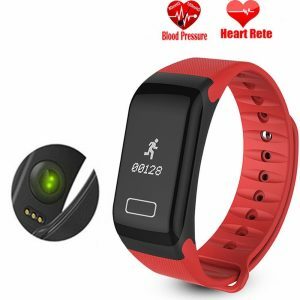 This Multi Functional Fitness Tracker has the following functions; Pedometer, Calories Record, Sleep Quality monitor, HR (heart rate) monitoring, Blood pressure, Sync Date and Time, Notifications,Remote camera,Clock alarm,APP reminder. 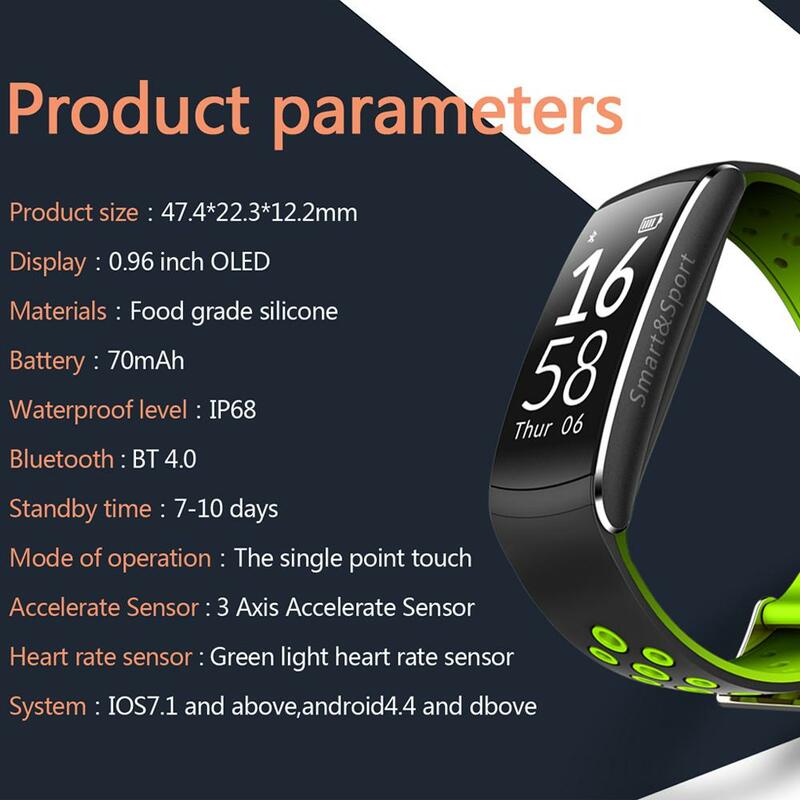 All this functions need fitness watch to synchronize with your smartphone by APP.